In such an age, when evil runs rampant, unfurling its banner of triumph, do we live. One really does wonder whether we shall have the capacity within another year to be shocked at all. Men and women burned alive in cages. Shorelines draped in the cloak of Coptic blood. The list is endless and there is no end in sight. The barbaric nature of the murders we have seen recently is of such a magnitude that most of us simply cannot begin to fathom it. Quite honestly, what can you say when a man walks into a Church where an 84-year-old is celebrating Mass and slits his throat at the Altar of God, or when a man turns on the ignition of a truck and proceeds to mow down people as if they were grass? This is insanity. The slaughtering of a peaceful man for no comprehensible reason whatsoever does not usually polarise debate. In Brighton, it is not unheard of for a drug addict to be found stabbed to death on the street or for a homeless man to be set on fire in his sleeping bag or in London for gang-related violence to claim the life of a teenager. In the face of such destructive evil, most of us give up on trying to understand motives, but few would have trouble at least identifying some discernible root cause that may, in fact, not be the ultimate cause of the evil committed but a strong contributory factor, even if the act of killing is senseless. When it comes to Islamic violence - and there is plenty of it documented across the world, we have an even greater problem in perceiving the motive because it is alien to what we understand from the point of view of reason. Most reasonable people can even sympathise with Pope Francis's reticence to link Islam with violence because few want to identify a whole religion and people with evil. To do so has implications for a great many, perhaps even to the safety of many. It is widely known that his response to Benedict XVI's famous Regensberg Address was unfavourable to say the least. 'This will set us back 20 years!' are the words attributed to the then Cardinal Bergoglio in Buenos Aires when he heard news of the speech. Can't we just all be Masons and get along? The grand majority, we believe - I think correctly - of reasonable Muslims would reject and distance themselves from the murderous campaigns of those who share their religion. The majority of Muslims today would say that neither mankind nor Islam is not served by violence and bloodshed. Eventually, however, even a reasonable Muslim who loved his religion - in the face of so much Islamic violence - must admit that elements within Islam believe that mankind is indeed served by the kind of violent Jihad called for in parts of the Koran and that Islam itself has a problem with violence in a manner not comparable to Christianity, the true religion of peace and, yes, the true religion of tolerance, brotherly love, forbearance and mercy. The One True Religion. "Jesus cannot be God and a man. It is you who are wrong." Yes. As if to mirror Pope Francis's call to dialogue with other religions, before his death at the hands of law enforcement agencies, the young Islamic terrorist provided not just Pope Francis but the whole World with an exemplary exposition of the Muslim religion, formed, as it was, centuries after the first coming in the flesh of Our Lord and Saviour. His actions following this exegesis of Islam and one of its central positions on the nature of God can be interpreted according to as many sociological explanations as is deemed necessary. One thing, however, cannot be ignored, and that is that this man was most definitely in dialogue with a nun on the issues of God and religion, elaborating on the true Islamic position on Christ right up to the point that he committed murder in cold blood. Ultimately, it is for this reason that Fr Jacques Hamel was slaughtered. It is for this reason that many Catholics down the ages have been martyred and it is for this reason that the Catholic Church most surely, while fostering dialogue between religions in the interest of mutual understanding and peace, can never accept or promote the idea that true peace and order can reign in the world. We must, to the anger or incomprehension of the world repeat this: Jesus is true Man and true God. Indeed, since Her very founding by the Only Begotten Son of God, the Church has sailed in every age persecuted for this very reason. We do indeed believe that Jesus not only can be, but is, God and man. It is the Muslims, but not only the Muslims who are wrong. On this matter, the Jews are also wrong. The Hindus are also wrong. The Buddhists are also wrong. Atheists are wrong. This is what divides those who are Christians - who are for Christ, and those who are do not believe in Him, who St John tells us are Antichrist. And it is certainly this essential premise that even divides the Catholic Church today, informs the liturgical war, divides Catholics on moral issues, categorises those who side with Christ on divorce and remarriage and those who stand vehemently against Him. Yes, it is simply this. Like the Pope, I too have sympathy with Muslims. They believe in one God. So I too believe in one God. They do believe in brotherhood and helping the poor. So do I. They even believe that after death comes judgement. So do I. They believe God is merciful. So do I. They believe in Paradise. So do I. They believe in Hell. So do I. But, the great error of Islam is the great error of the vast majority of the World and great swathes of even the Catholic Church. Jesus Christ is true God and true man. That singular denial of God Incarnate, the Lord Jesus Christ, is the cause of so much pain and suffering in the world. It is Pope Francis's role, not to simply ameliorate tensions between Christians and Muslims, nor simply to dialogue about what is shared between the two Faiths, but also to enlighten Muslims that Christ is for all men and for them and that no man shall see God without Him. Because they do not believe that Jesus is Lord, that which is good in Islam, just like that which is good in Judaism and Hinduism, that which is good in so many religions, is rendered not null, but incomplete and ultimately, in error. Error leads to death. This denial leads into many other serious errors which have grave consequences for the eternal fate of souls who believe errors and the temporal state, security and safety of the peoples of the world. Can Christians do wrong things? Yes. Can Christians murder? Yes. 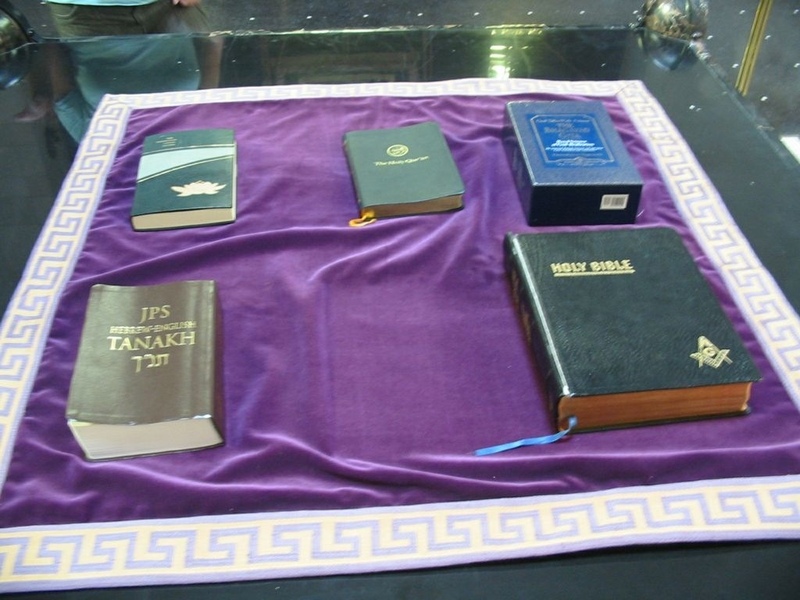 Can Christians commit these deeds and claim their religion informs that choice? They can, but they, too, are in error. 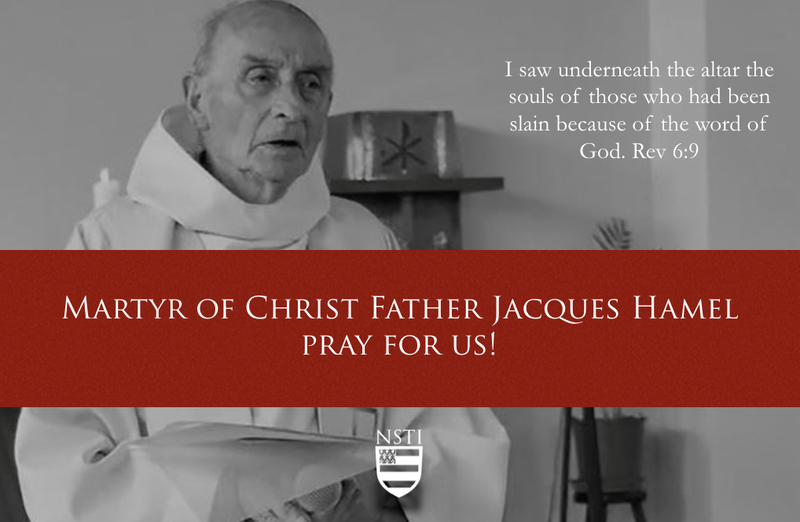 We might very well ask continually what made Fr Jacque's killer choose that path in life, a path of bloodshed and fratricide and think the answer is obvious but before the malice of such an evil act, we are still left mystified even when the killer offers what amounts to a religious justification. Who are we to say that behind even religiously motivated killing does not lurk something much more mysterious, something more private, a mysterious love of death, an interior glorifying of evil, or a misguided vision of heroism nurtured and incubated by fanatical preachers, a longing to become famous or infamous, noticed or even celebrated by some? Yes, the reasons for this man's choice might be much deeper than a selective fidelity to an Islamic text, but let none doubt that a truth, passionately held, can, guided and nurtured by Christ, become a force for such ardent charity that can change men and women's lives so much for the better. We see this in the life - and witness - of Fr Jacques. Let all men know too that an error, passionately held, can bring ruin and carnage to the streets and Churches of Europe, and an error, passionately held, can bring about the ruin, yes of any Catholic layman, any priest, any Bishop and, yes, any Pope. 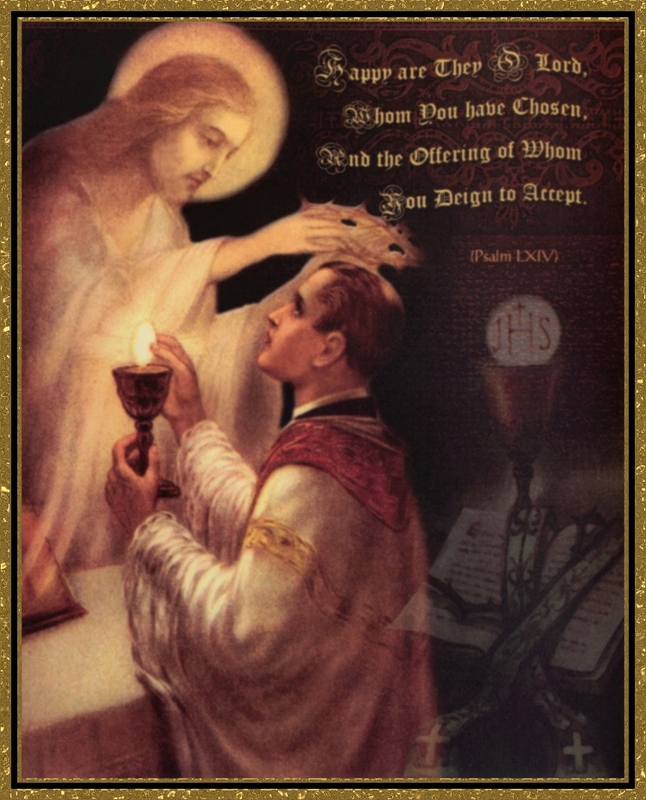 This error, deprived of the light of Christ, leads to spiritual death. Propagated, it takes in many victims. It will, undoubtedly, create many more to come. If every time the Pope is asked to speak of Islamic violence, he feels he must speak of Catholic violence, astonishingly, in the same breath, we are guaranteed that we shall be hearing about Catholic violence a lot from Pope Francis. Perhaps every week. May Fr Jacques Hamel,whom the Church can, without any embarrassment (are you reading Austen Ivereigh?) and in continuity with the holy tradition of the Church, any hesitation, believe is now in Heaven, intercede for all priests, for France, for Europe and for all who believe that violence can achieve even the good end desired, that martyrdom can be gained by wilful murder and for all who persist in the error that can bring wholesale destruction not only to whole communities, but the Church Herself. A life of humble service at the Altar of God, a death and the palm of martyrdom at the same. Would it be too much for the whole Church now to recognise the sacrificial nature of the Mass when a priest has shown it to us so vividly? Will the Church turn away from what Fr Jacques's death really tells us about the Priest and Victim united at the Altar in persona Christi? Perhaps this is a fact of his killing too subtle for some to notice. 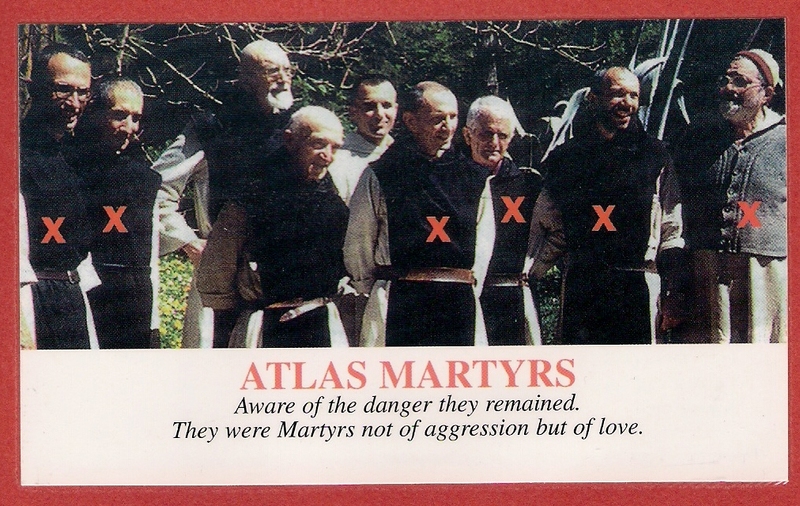 Fr Jacques's death was a tragedy. May the Lord have mercy upon him for his suffering in a sinister political game. Because we are Catholics we should not be distracted from the fact this was a clear false flag attack. The FN has been very clear in using the Church as a means of gaining power and clearly orchestrated this attack. Look at the evidence. How did police (allied to the FN) arrive so quickly? How did the media get there so quickly in a small town? This is a FF attack and a clear media manipulation. Don't believe what your read in the MSM. Spot on. I have been trying to articulate certain thoughts that this event provoked in me, and this post has helped. I have been reading Belloc on Islam as heresy- you seem to have similar ideas. I think this attack reveals to us not just the problem with Islam, but the problem of modernity, of secularism of this disenchanted world: the denial of sacramentality, of the icon, of the real presence, which happens when we deny Christ as God and man. If the world loses this mystery and forsakes it for the simpler, cleaner beliefs of Islam or atheism we are done for. Thank you, Laurence. I'm not sure what it will take for our fellow Catholics, including those in high positions, to realize what we are facing. Even a cursory glance at history would show the reality of our current situation. I hope and pray more and more people will become aware, and that more and more of the hierarchy will acknowledge the truth of the situation, and publically ask for prayers and action.